We live a fast life. And a busy one! It is not unusual for someone to have several cell phones and tablets with them all the time. One can use iPhone as a personal mobile device, and Android phone and tablet for corporate purposes. Keeping all these devices with all different operating systems in sync is an important but not an easy task. And since there is no native sync option between iOS and Android available, you will need a third-party app to sync them. That’s where SyncMate will assist. 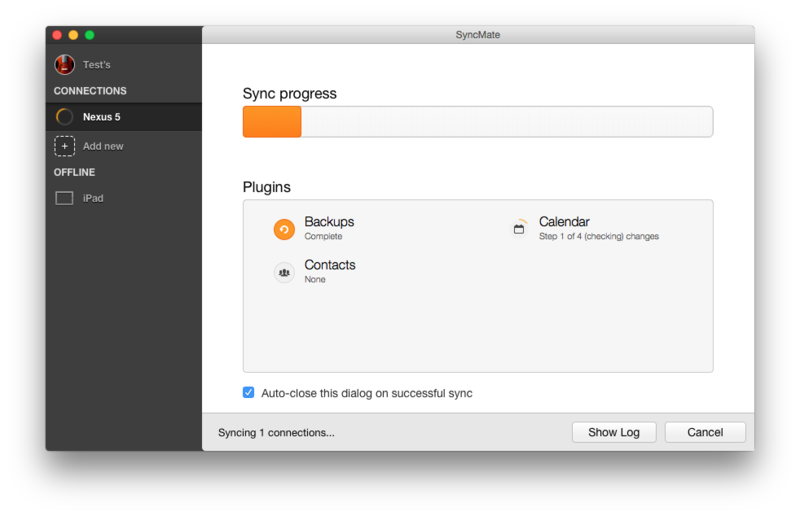 SyncMate is a powerful sync tool that allows keeping your Mac in sync with numerous devices. 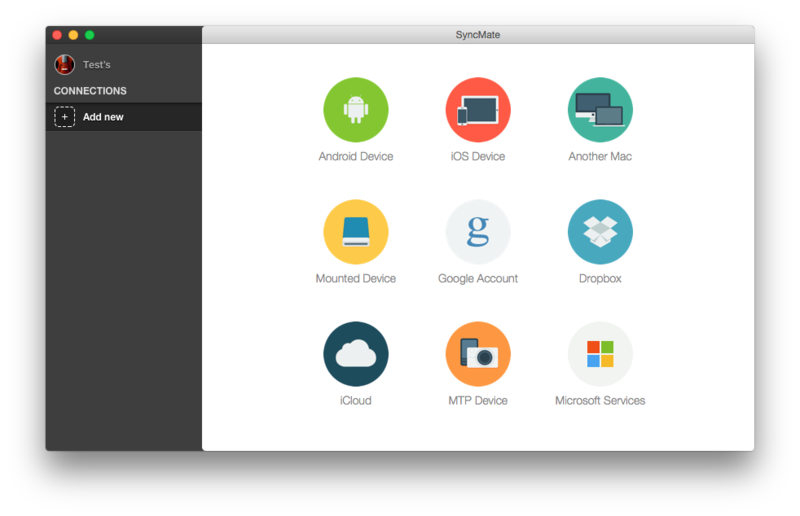 It offers sync with Android and iOS devices so you can easily sync these devices one with another via Mac using SyncMate. Just connect both devices to your Mac, sync data from the first one with your Mac and then sync your Mac with the second device. Contacts and calendars can be synced for free. To sync other data like images, videos, music, folders, etc. you’ll need to upgrade to Expert edition. 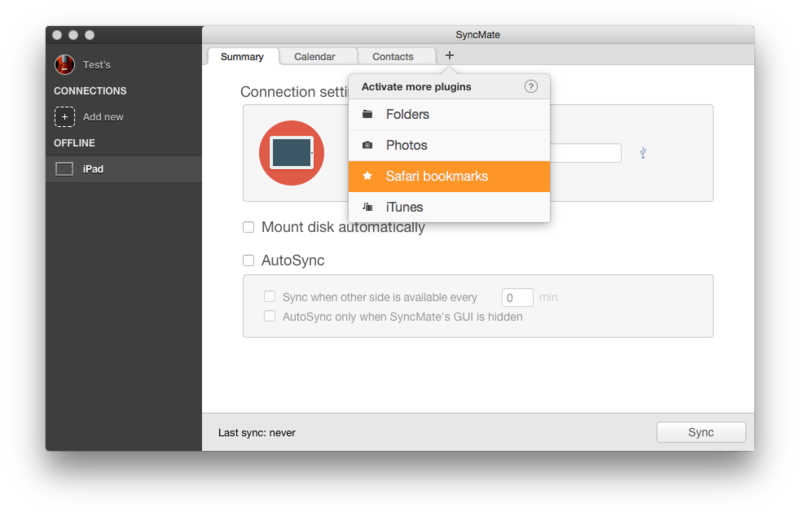 Download and install SyncMate on your Mac. Once it is installed, launch the application to display the main window. Click ‘Add New’ link in the left pane. Choose Android and iPhone devices in Wizard and connect them. 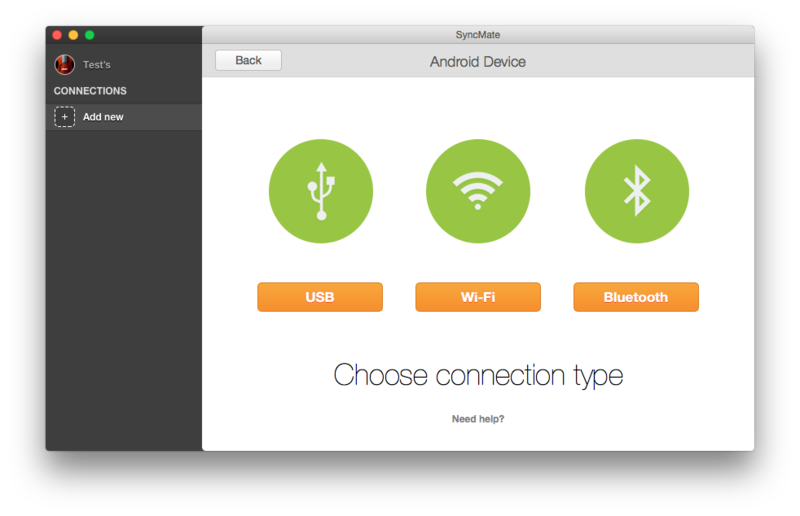 (SyncMate doesn’t limit the quantity of devices you can connect and sync with your Mac, so even if you have several Android or iOS devices, they all can be synced with SyncMate). 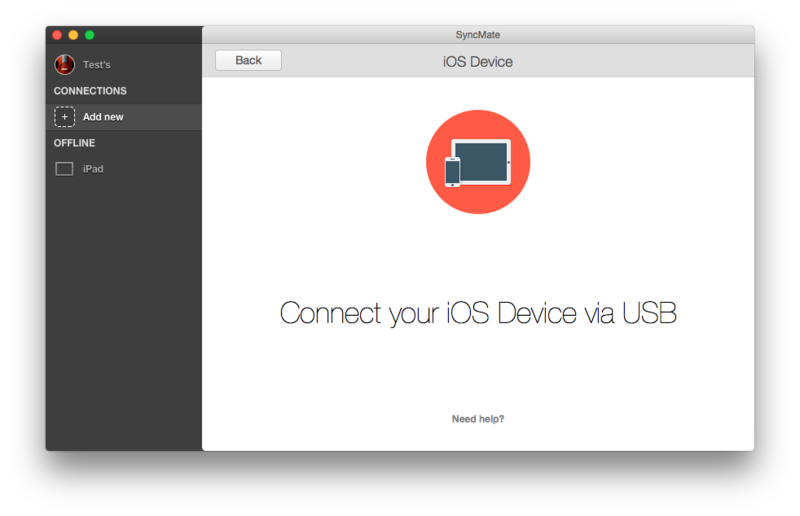 Choose device you want to sync with your Mac first (Android or iPhone) and specify sync parameters for this exact device (do not forget to choose a sync direction from device to your Mac in each sync plugin settings). Click ‘Sync’. Data will be synced from device to your Mac. Now specify sync parameters for the second device and synс data from Mac to this device (choose sync direction from Mac to device for each sync plugin). 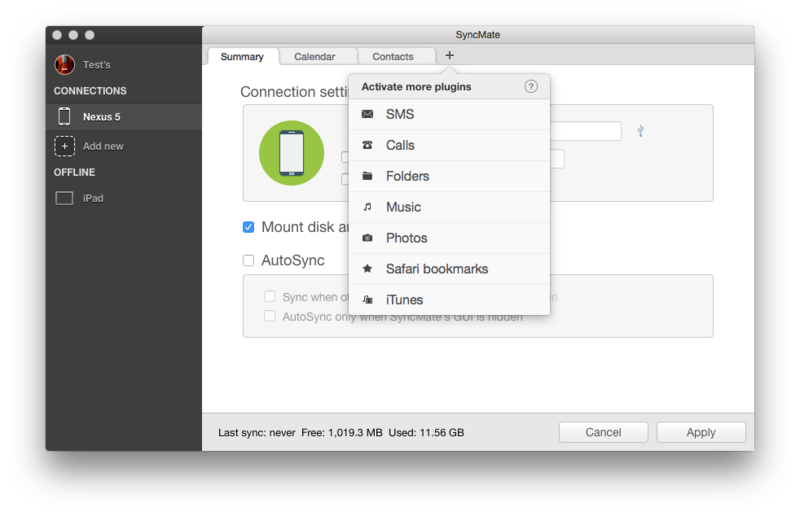 Click ‘Sync’ to have data synced from your Mac to device. 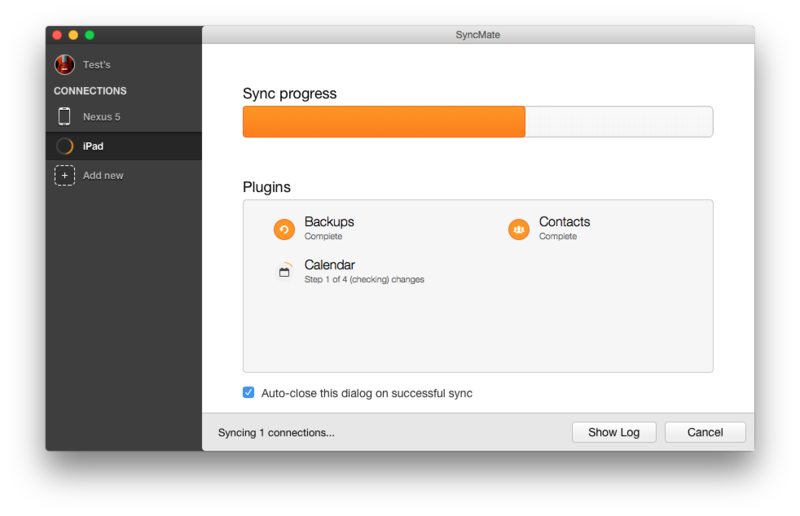 Besides iOS and Android devices, SyncMate allows syncing Mac with online accounts (Google, Dropbox, iCloud), Microsoft services (Outlook, Office 365 Home and Business), other Mac computers, mounted and MTP devices. Of course, all mentioned above devices and accounts can be synced one with another via Mac. Detailed information about SyncMate, supported devices and sync options can be found here.